You cannot add "Fun Factory Educational Wooden Lacing Apple & Worm" to the cart because the product is out of stock. 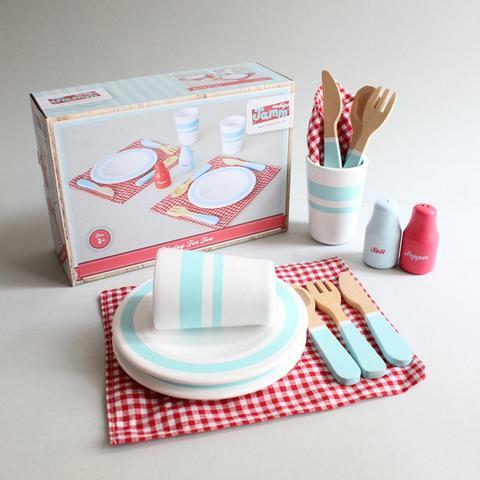 A wooden retro 14 piece dining set for two from Indigo Jamm. Complete with 2 plates, 2 forks, 2 knives, 2 spoons, 2 place mats, salt and pepper pots and 2 cups. Great for imaginative play. Beautifully painted in bright colours. Suitable for both boys and girls. 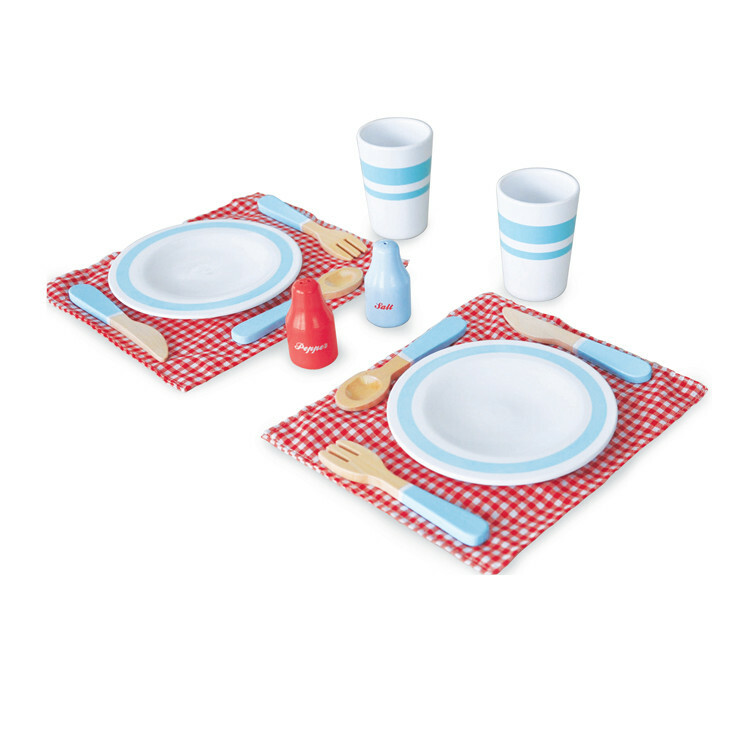 A wonderful addition to your play kitchen or picnic set.